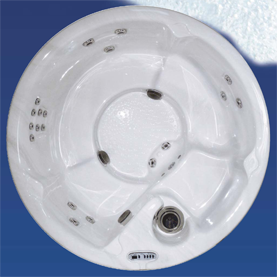 The Venture is the largest, most powerful, fully featured hot tub in its class. The exclusive MaxTherapy Seat®, UltraLounge®, patented NeckFlex Jet System® and dual pop-up water fountains are just some of the great features you'll enjoy in this adventurous backyard retreat. 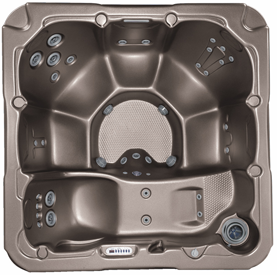 The versatile Wayfarer hot tub features two distinct therapy seats. A deep, powerful therapy massage "for him," which features our patented NeckFlex Jet System® and provides the ultimate in comfort for a wide range of users. And "for her," there's the not-so-deep ultra-comfortable therapy seat that offers a more subtle massage plus shoulder-top jets that target her aching shoulder muscles. 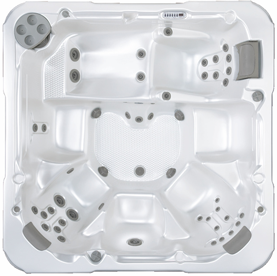 D1's Dream is simply one of the best value-priced hot tubs ever produced! Offering triple-layer, 100% closed-cell foam insulation, this gem also offers 31 massage jets, a beautiful and adjustable waterfall, a super-relaxing High-Performance Lounge and other amenities and options that competitors only wish they could provide. 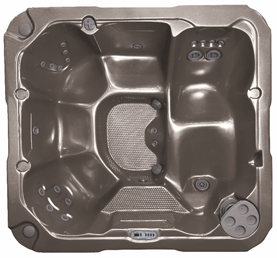 The Cove hot tub is ideal for a small patio or garden area. Plus it fits through a standard doorway opening. This versatile tub is available in either 240V or 120V. The 120V option allows for ultra-convenient plug-in to a standard wall outlet.